Franchise marketing and sales are by no means easy. But if you do things right, they are relatively predictable. But “doing things right” involves much more than good marketing and sales techniques, as the Franchise Success Cycle below illustrates. 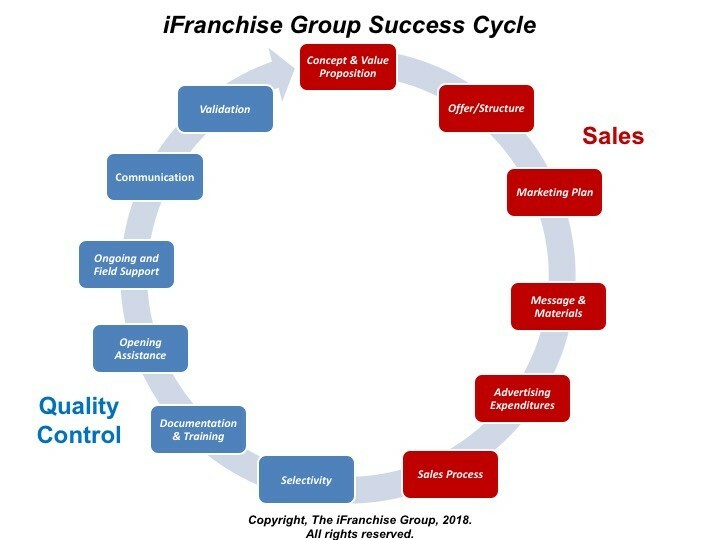 For more information about how iFranchise Group can help you optimize your franchise development, marketing, and sales efforts, fill out the form to the right, or contact us at [email protected] or 708-957-2300.